TUBdok the open access repository of TUHH started in 2002. 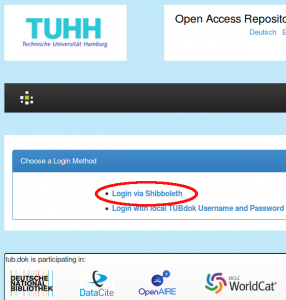 With TUBdok, members of TUHH can easily publish scientific content free and unhindered to anybody in the world. You can use TUBdok for publishing your Ph.D. as well as for publishing your post- or pre-prints of article in paywalled journals (“green road”). All publications will receive DOIs and Handles next to URN. Let yourself be guided through the selection process or even go for CC0. You need to observe an embargo? Indicate when your work may be published, then let TUBdok do the rest. Stay up-to-date with new publications via RSS or email. There are about 1,200 publications on TUBdok already. And of course all of them will stay accessible via URN and their old URL. Additionally they are assigned Digital Object Identifiers (DOI). DOIs are the most commonly used identifiers in online publication business. We would be very happy, if you gave our new TUBdok a try: https://tubdok.tub.tuhh.de. For feedback, please comment on this article or send an email to tubdok@tuhh.de. Moreover our Subject Librarians will be happy to discuss specific questions regarding your future publication.